Windows 10 comes with all kinds of preinstalled apps. Including Calendar, Contacts, Mail and so on. But what if you on accident removed these apps? What to do when you removed the mail app from your system or what to do when you removed the calendar app from your system? In this article we will help you restore these preinstalled Apps. 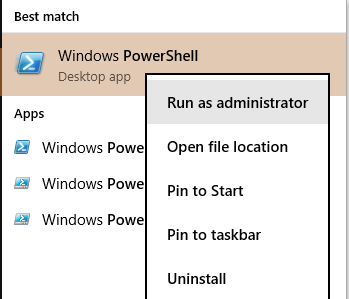 Throughout this article we will work with PowerShell a command shell. Please make sure your executing the steps carefully or the command will not work! 1. Head over to Microsoft.com and download “reinstall-preinstalledapps.zip” here. 2. 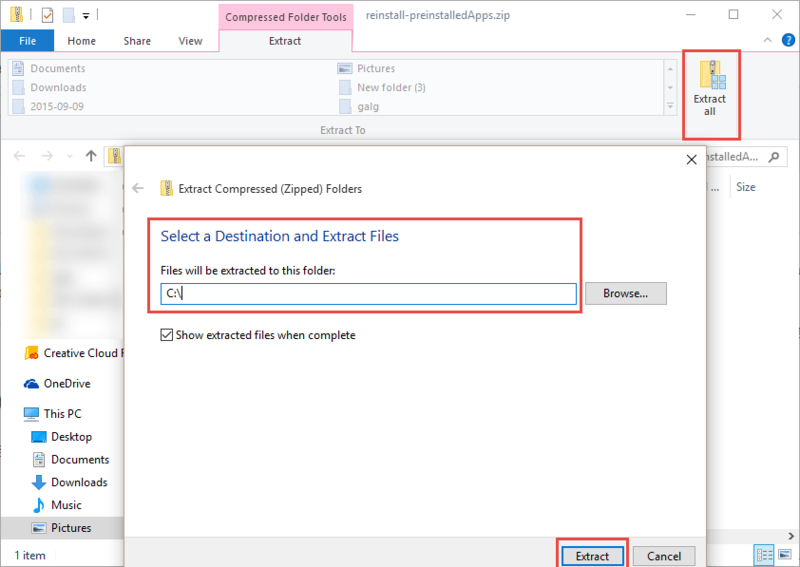 Extract the files to your main disk. You might get a permission warning, click on Continue. 4. Then type the following command in Powershell and hit enter afterwards. 5. Then type the following command in Powershell and hit enter afterwards. This command will change the Windows policies in such a way that unsigned scripts are allowed to be runned on the system. We need this to make the necessary changes to your system. No worries you will be fine! 6. Then type the following command in Powershell and hit enter afterwards. This will run the script to reinstall the Windows default apps on your system. 7. Then type the following command in Powershell and hit enter afterwards. This command will change the Windows policies in such a way that the changes made in step 5 are turned back. We hope this tutorial helped you to reinstall the default Windows 10 apps back on your system. If you require any more help, then our team is more than happy to help you personally on our forums which can be found at forum.windowsinstructed.com. Thank you for reading! Is the Windows 10 free upgrade offer still available?